As modern control systems and autonomous shipping modules perform more tasks and there is massive disruption of maritime jobs, a wider array of education and skills-building are required to meet future demands. There are two uncertainties though: Will well-prepared seafarers be able to keep up in the race with autonomous systems? And which will be the most important requirements for ship operators to survive the maritime workforce of the future? – Automation; a fundamental transformation in the way seafarers work. Automation is expected to replace human tasks and challenge the skills that shipping organizations are looking for in their people. – CSR: A strong social conscience, a sense of environmental responsibility, a focus on diversity, human rights and a recognition that the shipping industry will have an impact, well beyond the financial. – Soft Skills: A significant skills-gap is expected in the future, directly linked to the loss of productivity and profitability. Automation of many processes onboard, require a set of skills that goes beyond what machines are capable of; non-technical skills, the so-called “soft skills”. 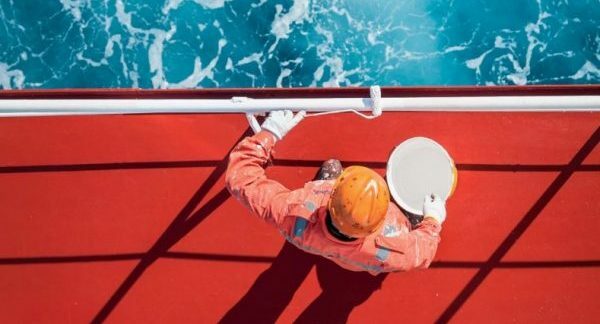 “So, once again in maritime history, interpersonal skills, self-management skills and ability to cope with unstructured tasks are about to become the main factor that differentiates between the low performing and the high performing crews, “says Dr. Luiza Shahbazyan, Product Manager CAT, Safebridge Cyprus. Women in the European Union earn on average 16.2% less than men, while in the maritime field, the figure climbs to 45%, keeping women away from shipping careers. Investing in critical human skills is critical for the future of your workforce. These are; problem solving, creativity, project management, listening, and moral and ethical decision making. A leadership position requires showing up for your personnel, they will understand the effort you made and they will treasure your organizational targets all the more. Although women form 39.3% of the global workforce, women seafarers constitute only 2% of the total number of seafarers worldwide, creating a need for the shipping community to bridge this gender gap. Encouraging greater diversity and inclusion is a critical part of meeting shipping industry’s new talent demands. Diversity is currently moving up the boardroom agenda in most shipping organizations, to make business sense; enhance innovation, personnel satisfaction and overall organizational performance. In order to remain employable in the future, help your employees learn technology and tools faster, but also design the technology so it takes almost no training to use. Sophia Bullard, Director of the 2018 SAFETY4SEA Initiative Award winner; UK P&I Club’s Crew Health Programme explains that shipping is on the verge of many advancements, such as autonomous ships and multiple projects providing the opportunity for the enhancement of technology onboard. Whilst all these are projects are of utmost importance, we would actually like to go back to a time where the focus was on the human factor in shipping. Hiring the right people means creative ideas and effective collaboration, which leads to an easier way forward embracing the challenges of the future workforce in maritime industry.